Sometimes there is just no way around getting a tree removed in Sacramento County from your yard or property. When trees are damaged beyond the point of repair - whether from storms, wind, insects, animals, or age - they need to be removed before they present a safety risk. If large limbs fall from a dying tree or if the entire tree topples over it can cause significant damage and destruction. It is very important to remove a tree before it has a chance to cause property damage or, even worse, personal injury. Tree removal isn’t cheap and costs vary based on size of tree, urban density (using large tree removal equipment in a city adds to the cost), dangers involved and crew members required for the removal. Disclaimer: Estimated Sacramento County tree removal prices shown will vary depending on multiple factors including proximity to a home, power lines and other structures, diameter of trunk and more. After-storm tree removals and grinding/removing stumps will add to the cost. Estimated prices shown include all equipment and labor for cutting the tree down, removing the tree and cleaning up. Do I Need a Permit To Remove a Tree in Sacramento County, CA? In almost all areas of Sacramento, Elk Grove, Citrus Heights and Folsom, the answer comes down to whether or not the tree sits on public or private property. You should always get a permit for removing trees on public property, but in general for small trees (less than 5 inches in diameter) you do not need a permit if it is on your property. Tree conservation ordinances can change over time so be sure to ask your Aptera professional if there is any doubt. How Can I Tell If a Tree is Likely To Fall? In many cases it is obvious that a tree or limb(s) is in a precarious position above or near property. The majority of felled trees due to high winds or disease however do not give off obvious clues before the event. 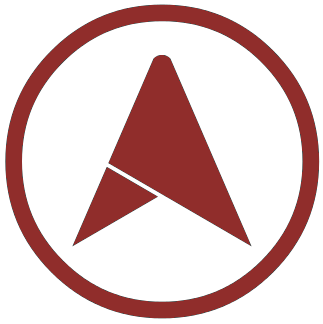 Because of the risk to property and person, Aptera highly recommends leaving the hazard assessment to professionals. It is very difficult to judge the structural integrity of a tree and its root system without deep background knowledge of species type, soil conditions, disease diagnosis and more. Does Insurance Cover the Cost of Tree Removal in Sacramento? Yes, most homeowners policies will cover both the costs of removing the tree and some damages it has made to your property. However, if YOUR tree falls on your neighbors property, THEIR insurance will need to cover the damages. What Happens to the Stump When I Have a Tree Removed? Removal of the stump is typically not included in the price of the basic tree removal. We recommend that you at least have the stump ground down to surface level so you can utilize that space and avoid a tripping hazard. A stump grinder can mulch the stump below ground level. This process is quick and cost-effective. Can I Just Remove the Tree Myself? Technically yes, you can get a chainsaw at your local home improvement store and try to remove a tree. 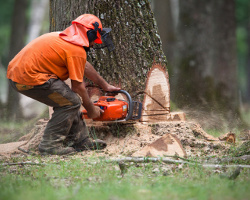 We stress that it is very important to consider safety above all else, and Aptera tree removal experts in Sacramento and Elk Grove are fully trained and use all necessary safety gear. You can review basic government safety standards, but there is no substitute for an experienced professional. Doesn't Removing Trees Hurt The Environment? Removing diseased or damaged trees in Sacramento County can actually help the environment by reducing the possibility that nearby trees will become affected. For customers looking to get rid of trees that block a view or to make way for a home expansion, we recommend re-planting trees elsewhere in your yard. This is not always an option for those with smaller properties, but you can even donate to have trees re-planted for less than $1.00 a tree. If you can't avoid removing a tree, tree-planting charities are a great way to keep your carbon footprint low for future generations. Aptera's expert tree removal service in Sacramento will help you save time and money, but you can also rent safety equipment and cutting tools to cut down a tree on your own. We highly recommend using eye, leg and hand protection when cutting down a tree. Once the fall area surrounding the tree is clear, you also want to tie rope to the tree that will help it fall in the direction you want it to. The rope must be sturdy (tested to 800 lbs.) and at least twice as long as the height of the tree. Note that the tree trunk is under stress and can snap, sending sharp shards of wood flying in any direction. Sacramento quaking aspen tree removal costs $621, spruce tree removal costs $630. Elk Grove quaking aspen tree removal costs $737, spruce tree removal costs $748. Citrus Heights quaking aspen tree removal costs $586, spruce tree removal costs $595. Folsom quaking aspen tree removal costs $586, spruce tree removal costs $595. Rancho Cordova quaking aspen tree removal costs $726, spruce tree removal costs $737. Galt quaking aspen tree removal costs $596, spruce tree removal costs $605. Wilton quaking aspen tree removal costs $702, spruce tree removal costs $713. Walnut Grove quaking aspen tree removal costs $748, spruce tree removal costs $759. Sloughhouse quaking aspen tree removal costs $695, spruce tree removal costs $706. Rio Linda quaking aspen tree removal costs $586, spruce tree removal costs $595. Estimated prices include all labor and materials including cleanup & hauling of branches, leaves and tree trunk. Your actual price will be determined by tree height and trunk width. Prices do not include city permit requests, stump grinding or stump removal.